Are You Bike-Shedding Your Feedback? Bike-shedding refers to the act of spending lots of time on unimportant details while leaving crucial matters unattended. The term traces back to 1955 article in The Economist by C. Northcote Parkinson, a British naval historian and author. “Parkinson’s Law of Triviality” states that people tend to focus on things that are trivial but easy rather than those that are important and hard. To make his point, Parkinson described a fictitious committee overseeing plans for a nuclear power plant. The members spent the majority of their time discussing relatively minor but easy-to-grasp issues, such as what materials to use for the staff bike shed, while neglecting the proposed design of the plant itself – a far more important but detail-heavy undertaking. Too often, people end up “bike-shedding” their feedback. They focus on easy but trivial issues related to performance while ignoring the bigger and more nuanced conditions surrounding development. It’s easy to tell people who they are. It’s much harder to show them who they are becoming. That requires a coaching approach to giving feedback – one that turns feedback givers into mirror holders. When you give feedback, choose your frame carefully. You can’t fix everything, and not everything matters. As I shared in my book, The Feedback Fix, stick with feedback that helps people become incrementally better. Provide them with small but significant support. 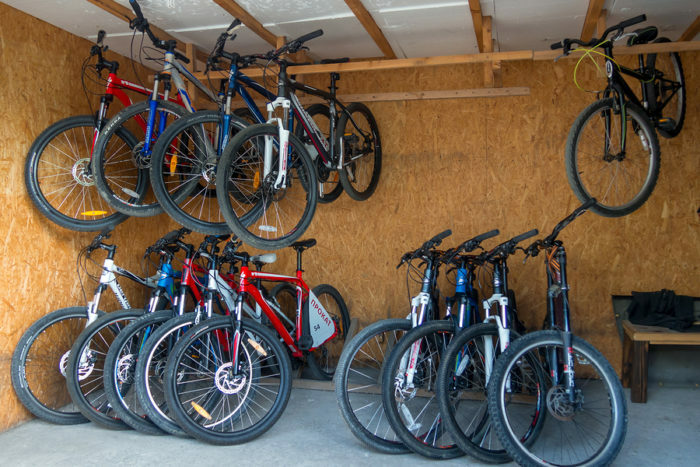 It’s easy to build bike sheds. But with the right feedback techniques, we can help people build – and become – so much more.